Danroc provides sample display solutions that create a concise, easy approach to showcasing your products & samples. 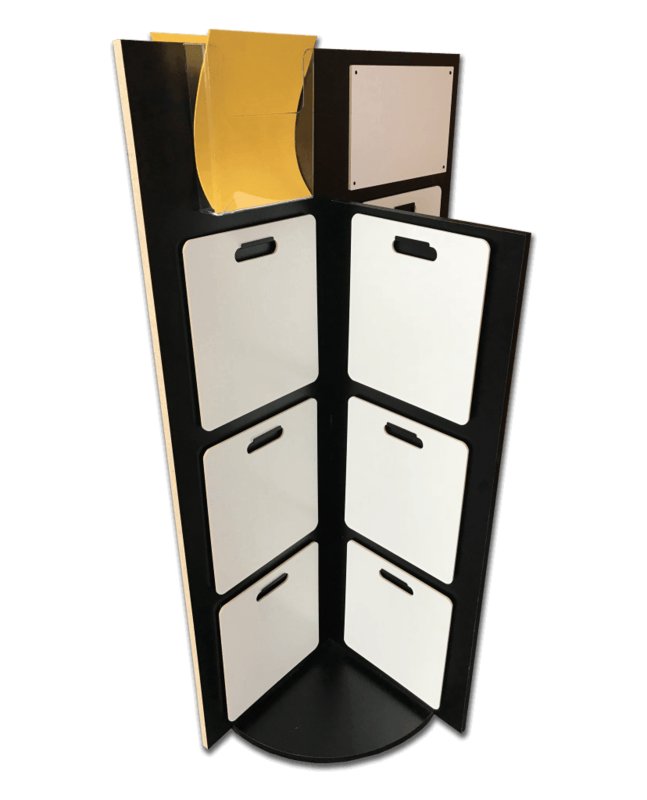 Our display racks not only save space, but it saves your customers time so they dont have to browse, search and flip through hundreds of samples. This can also help in streamlining sales and provide a better shopping experience for the customer. 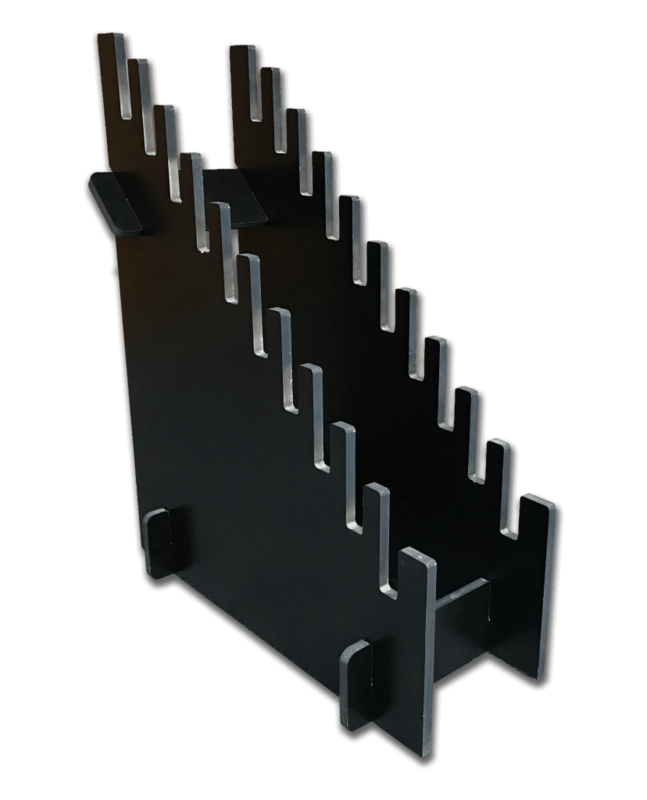 Danroc display racks are custom cut to fit each of our customer’s needs. 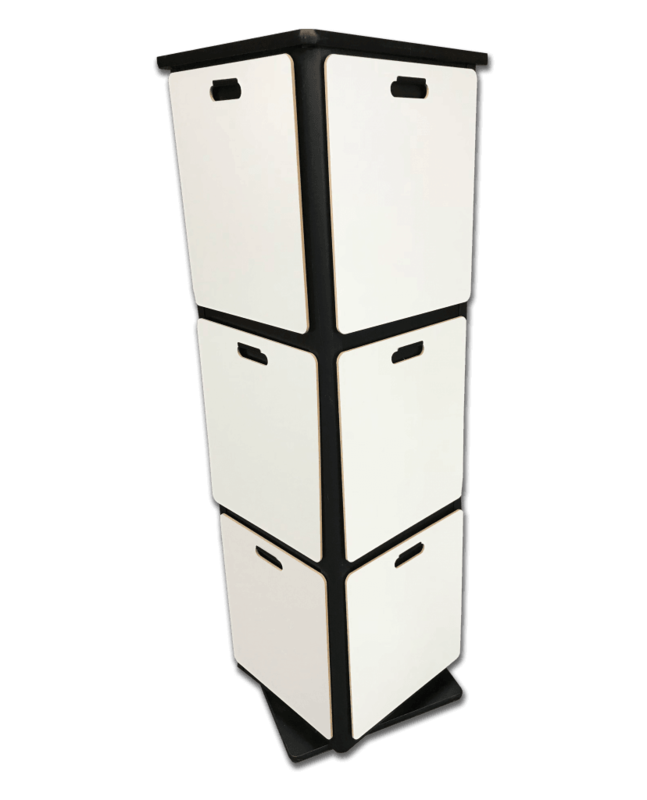 This allows you to have a display that is built specifically for your company’s display boards and other various samples. 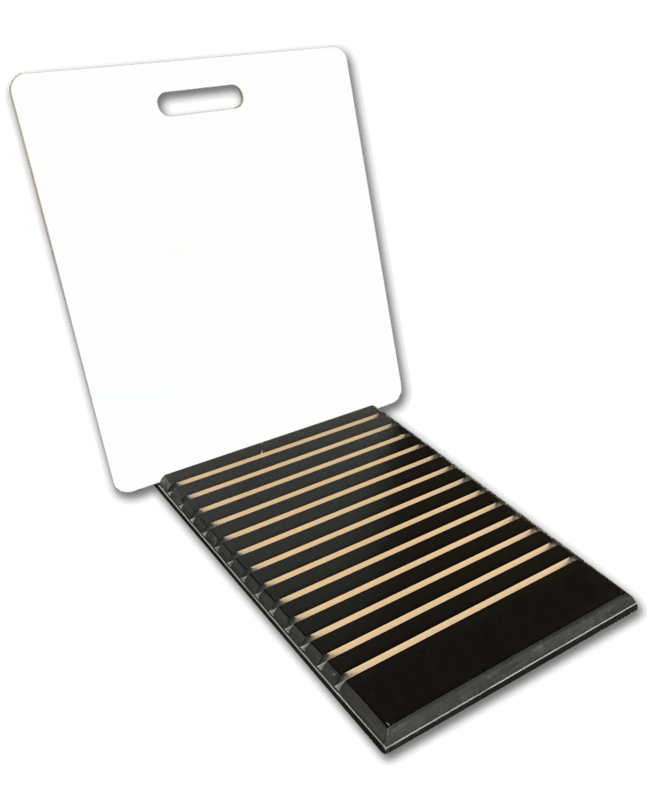 We can create displays that can hold up to twenty display boards or more, depending on your display board’s size. 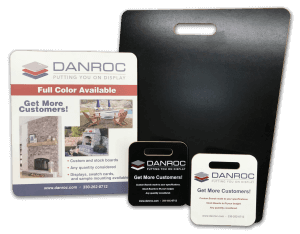 Danroc makes it easy to organize your samples, save space in your showroom, and result in an improved presentation to your customers. 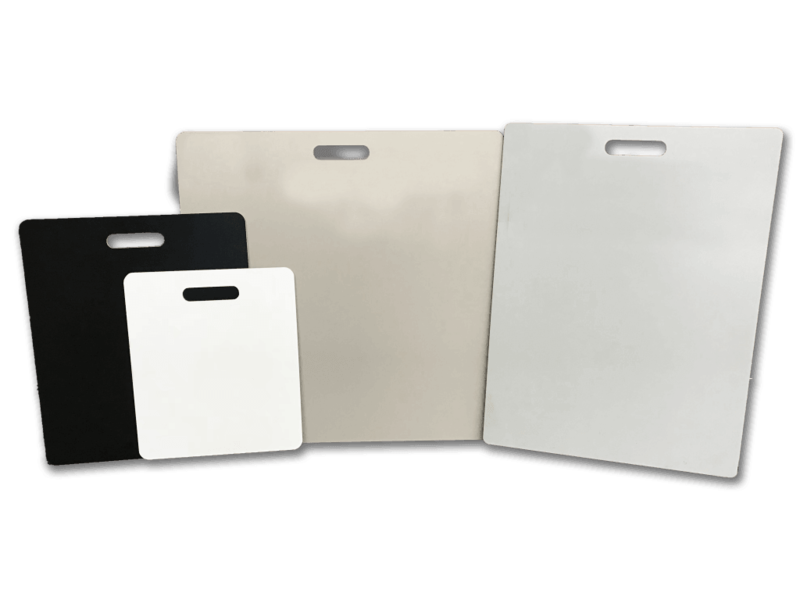 Danroc also offers stock display boards in four different sizes, and four different standard background colors as well. 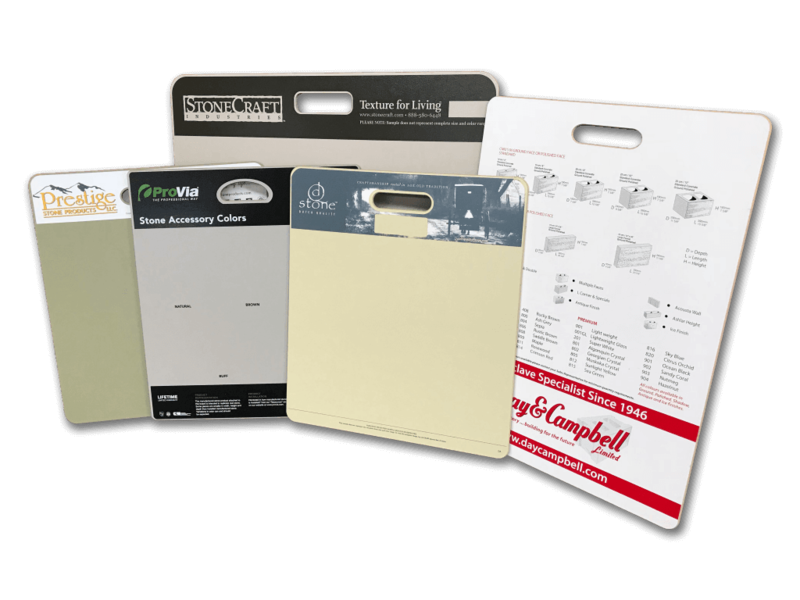 Stock size sample boards are made to fit your budget and help you save, while still offering the quality and durability of a custom display board, offering a great value for your advertising and marketing budget. 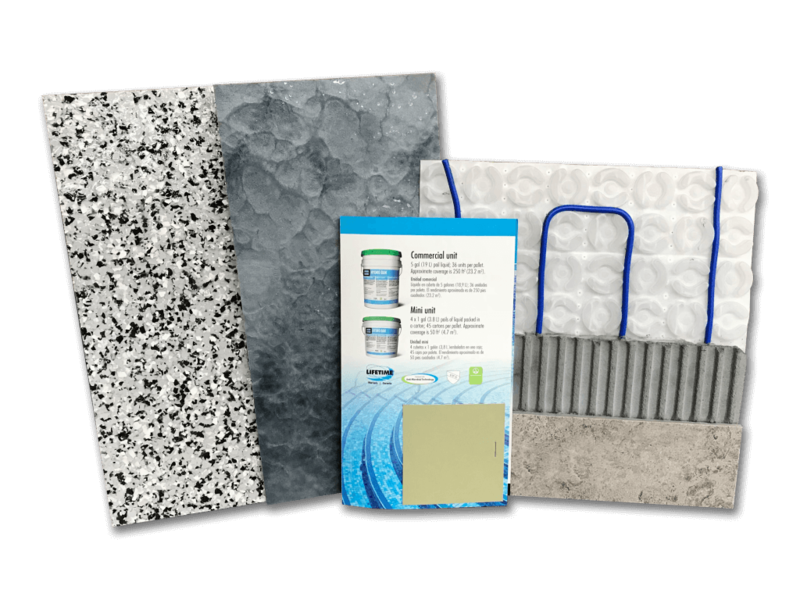 Request a free sample pack and discover the proven quality of Danroc display boards. 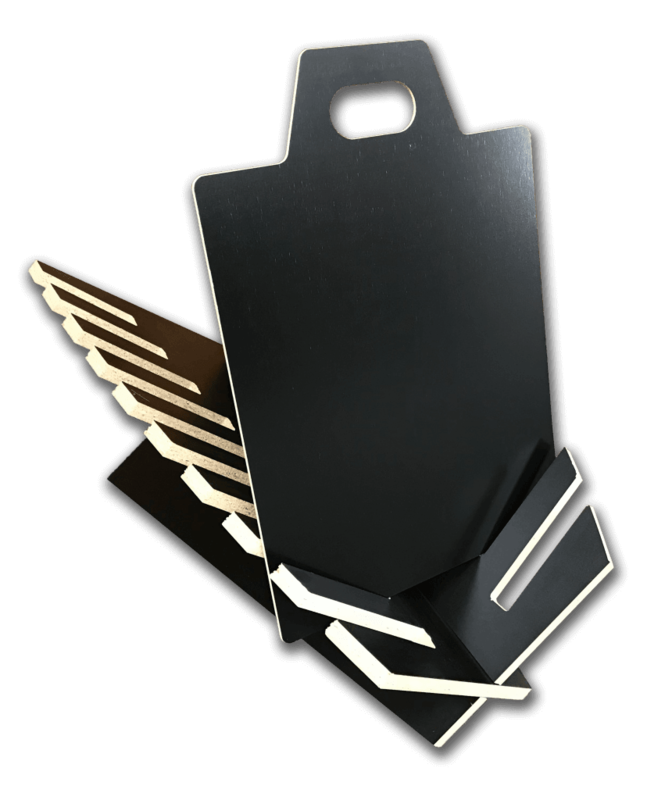 Order stock display boards so you can mount samples, product info and more! Blank boards for your customization. Submit an order a price quote! 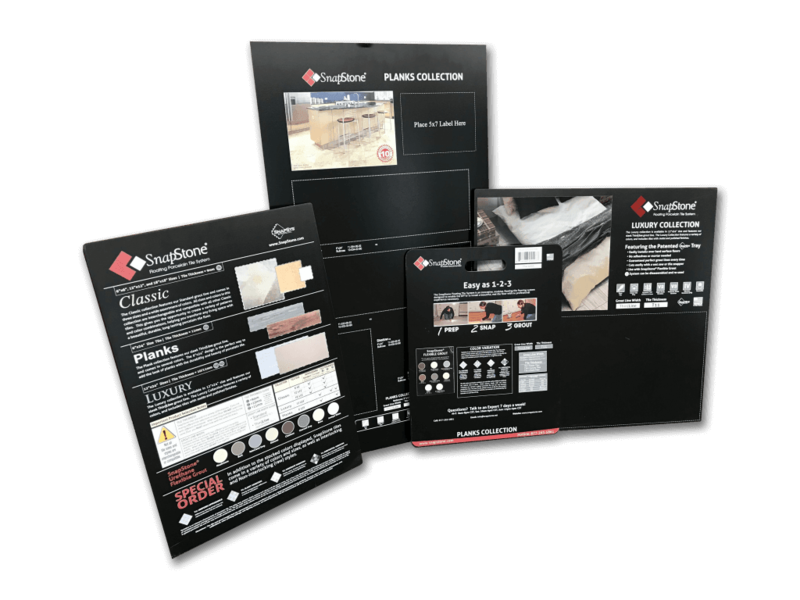 Print your brand, contact information and more on sample boards custom-made for your business! Contact us for capabilities & pricing information. Kick off a marketing campaign with consistent branding in your stationary & sampling boards! Contact us for capabilities & pricing information. Break down each component of your product to really showcase the beauty and quality! Contact us for capabilities & pricing information.